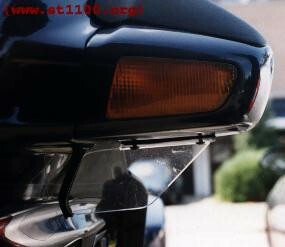 The original Honda Mirrordeflectors (both upper mirror and sidecowl) are very comfortable, they keep your legs and hands off the wind and off the rain. Unfortunately there's a hole in the protection under the mirrorcaps through wich the wind and rain have free play on you hips and those of your passenger. 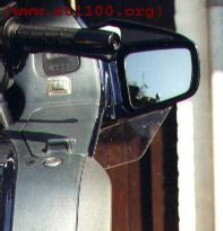 Therefore I developed the Lower Mirror Deflectors (see pictures) wich protect your upper legs and your hips. Mounting is simple at the bottomside of the mirrorcaps and is described in the instructions.